It is widely known that hairstyling is an art form that never develops on its own, instead drawing its inspiration from a mixture of other art forms. At recent shows, we have seen many styles with geometric partings and bold styles. 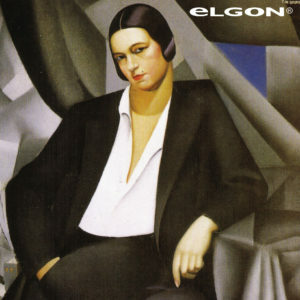 The connection is fairly obvious: many of the models sported looks reminiscent of the women portrayed by Tamara De Lempicka, Art Deco icon. This charismatic artist, who worked in the period between the two World Wars, introduced the world to melancholy, coldness, but also to the extreme charm and talent that characterise the woman’s soul. For example, in the portrait of the “Duchesse of la Salle”, the short and androgynous cut accentuates the jaw, enabling the intense red of the lipstick to take the spotlight. Layering at the back allows for volume to be created on the upper part, in addition to sleek statement styling around the face. The result? A strong, very sensual cut, perfect for those who know exactly what they want. Which products can be used to recreate this style? Elgon has the solution: for the colour, the shades of Naturals Moda&Styling products are a must-have, as they guarantee an even richer, more vibrant, long-lasting look, while repairing the cuticles. To create the style, another essential is Format Wax, the liquid glossing and modelling gel that leaves the hair soft and shiny. Finally, with Shine It!, the no hold shine spray, your hair will look shiny but not sticky, with no fly-away effect. So, melancholy aside, are you ready to become the new inspiring muse of your style?